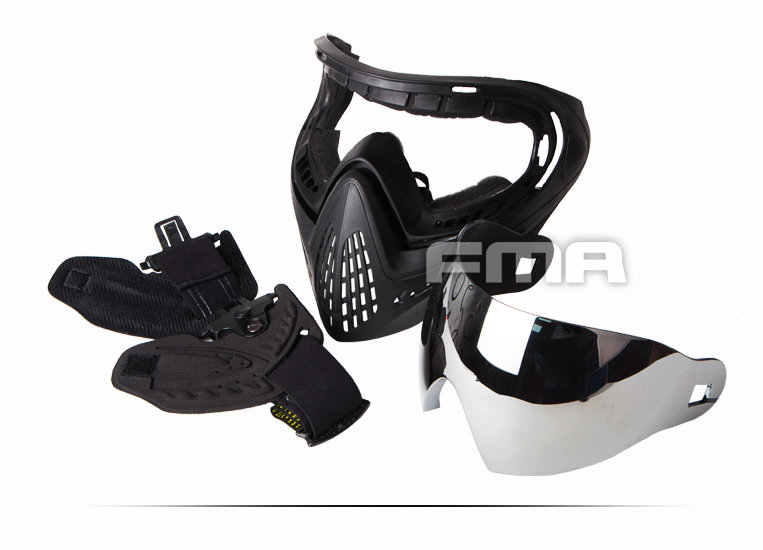 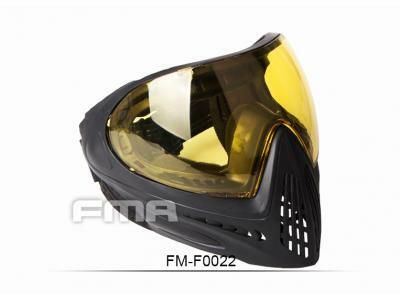 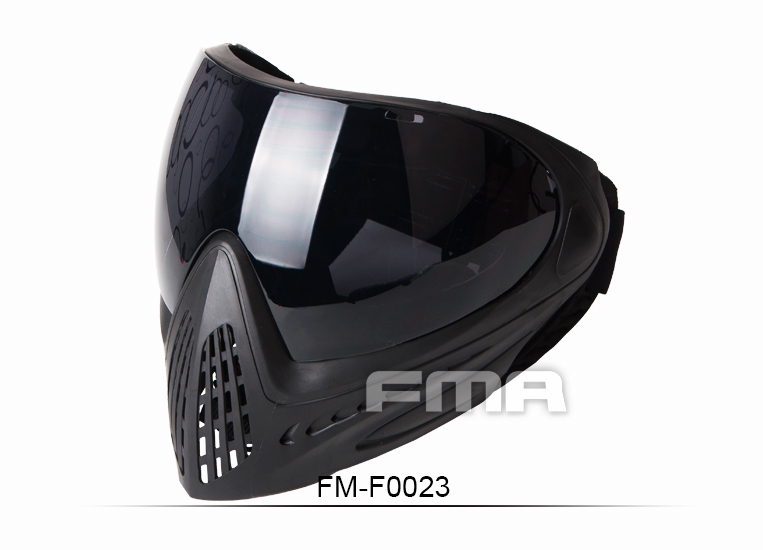 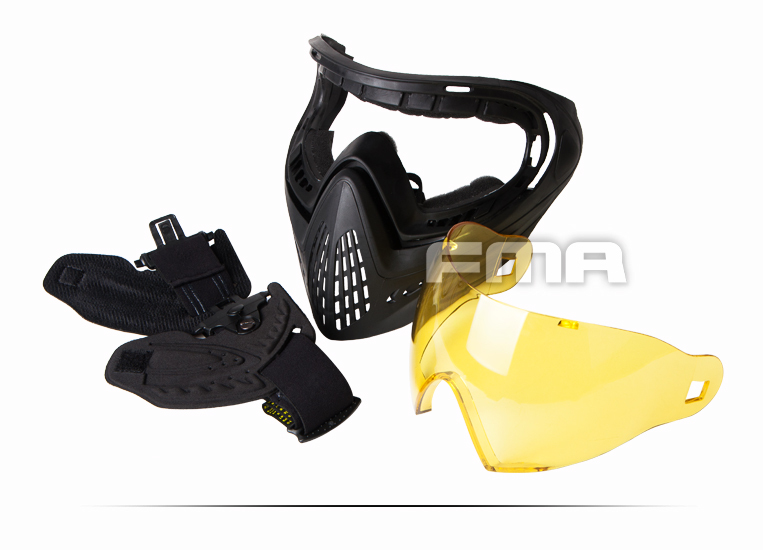 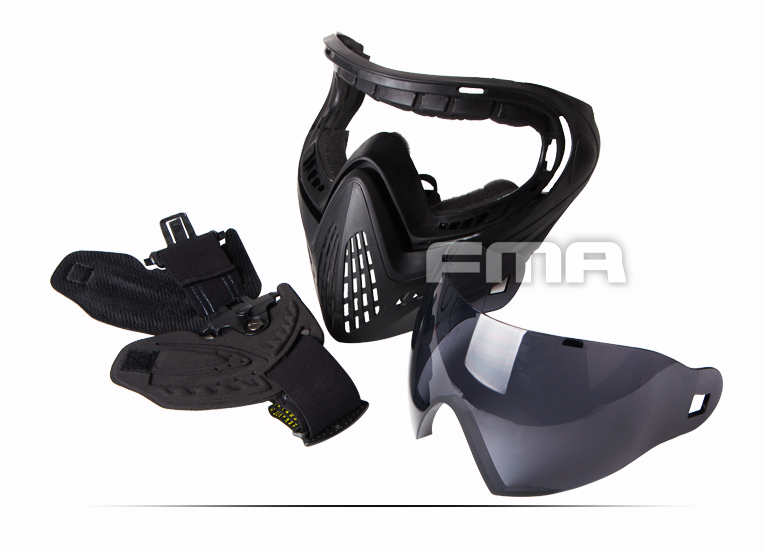 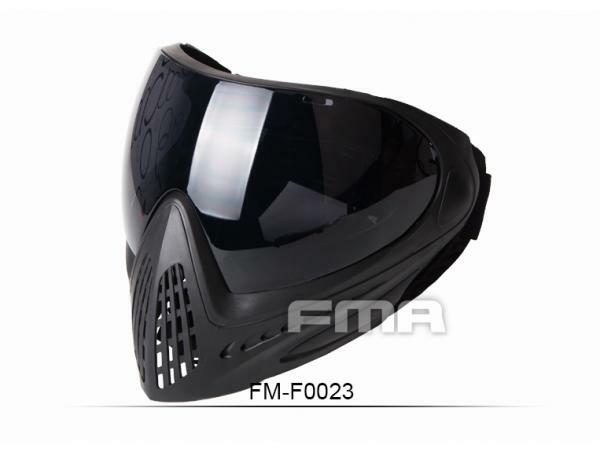 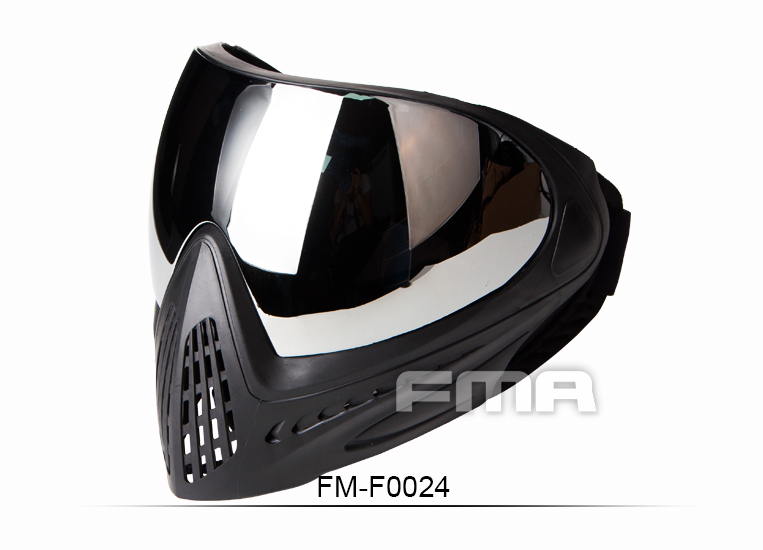 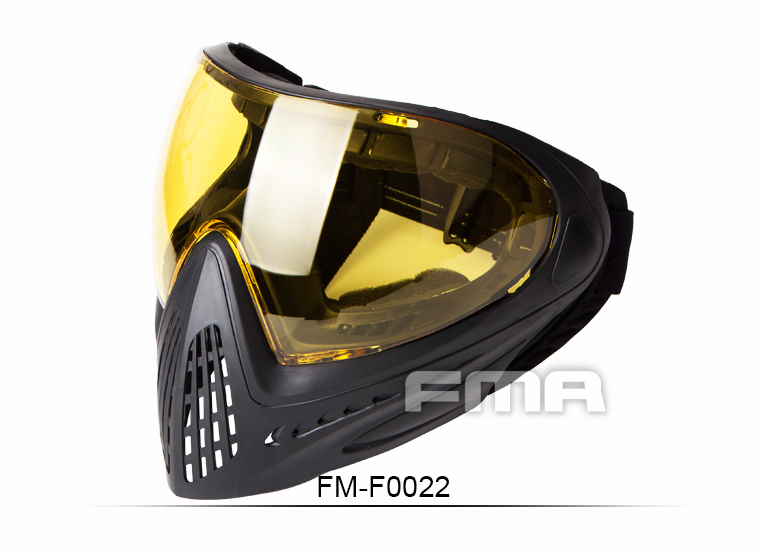 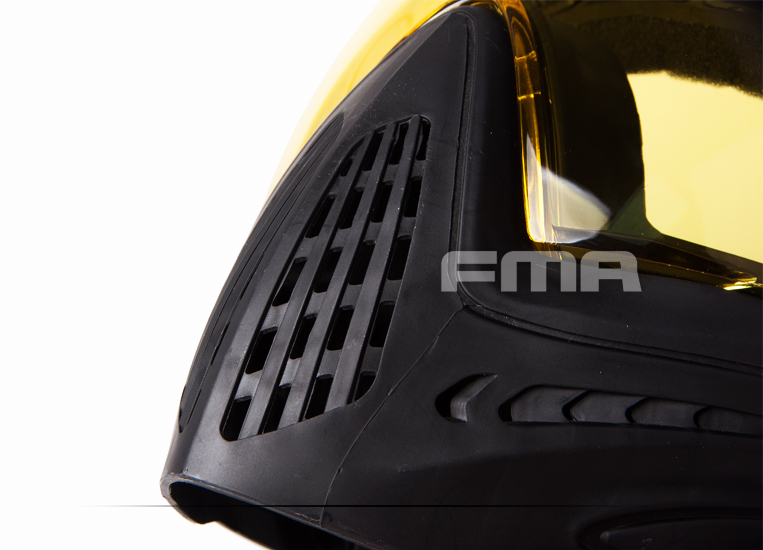 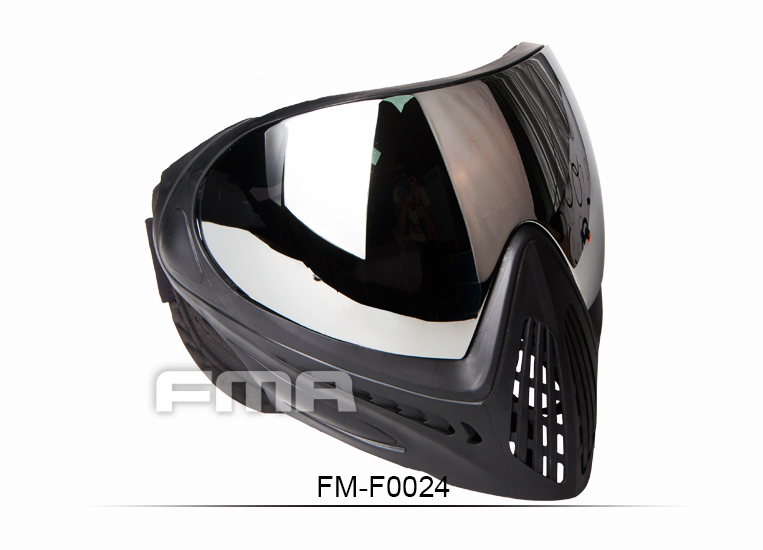 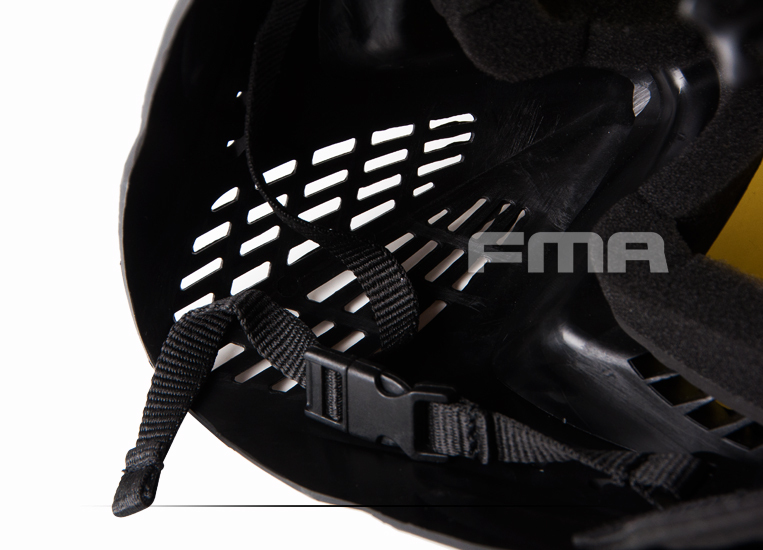 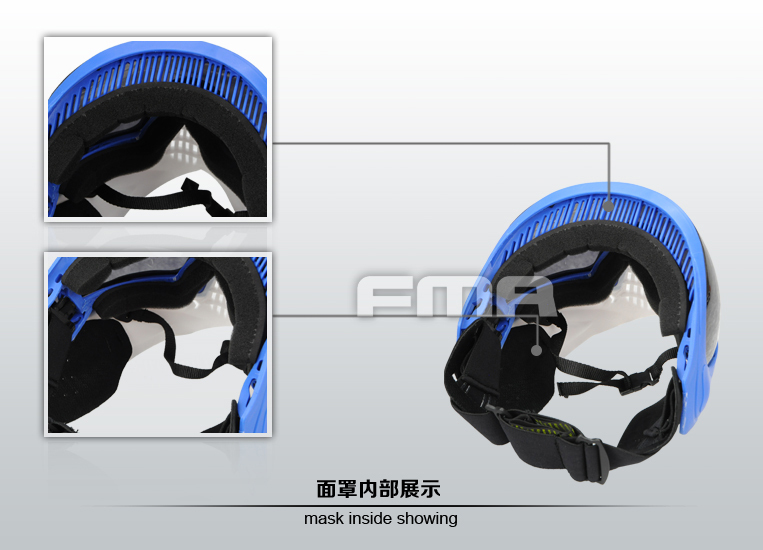 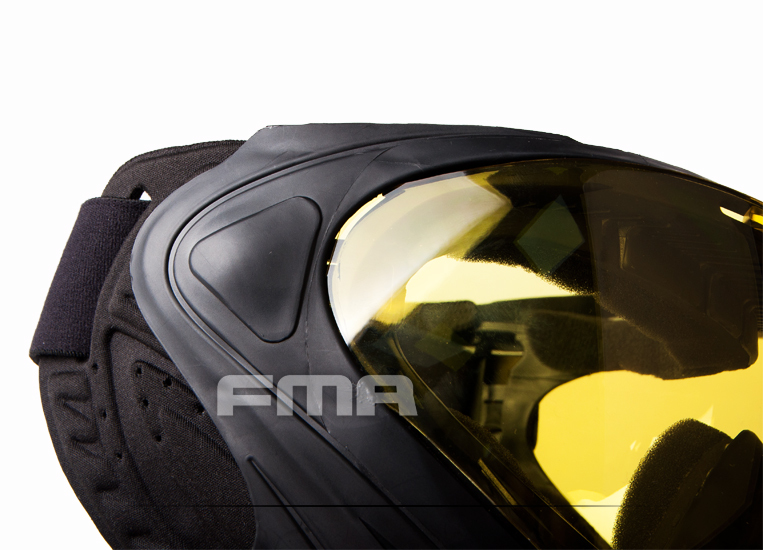 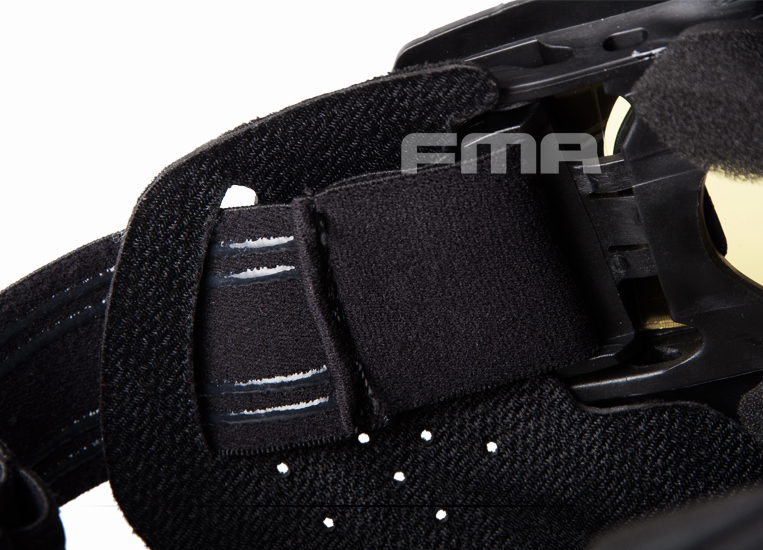 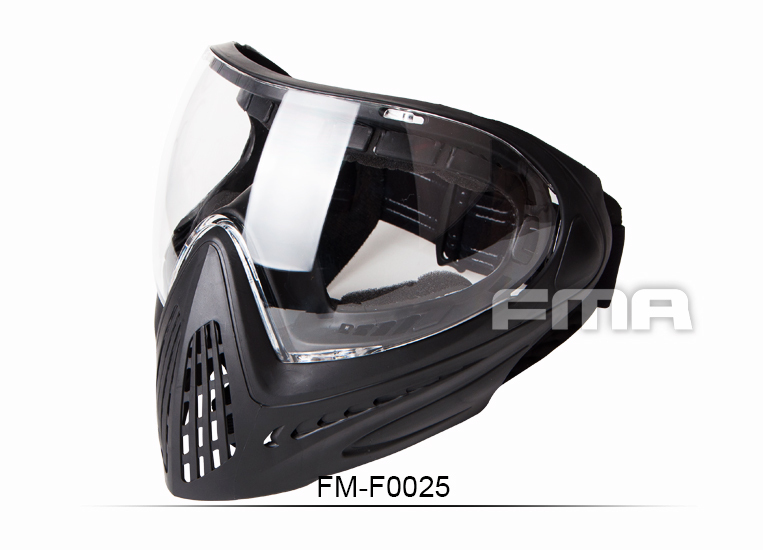 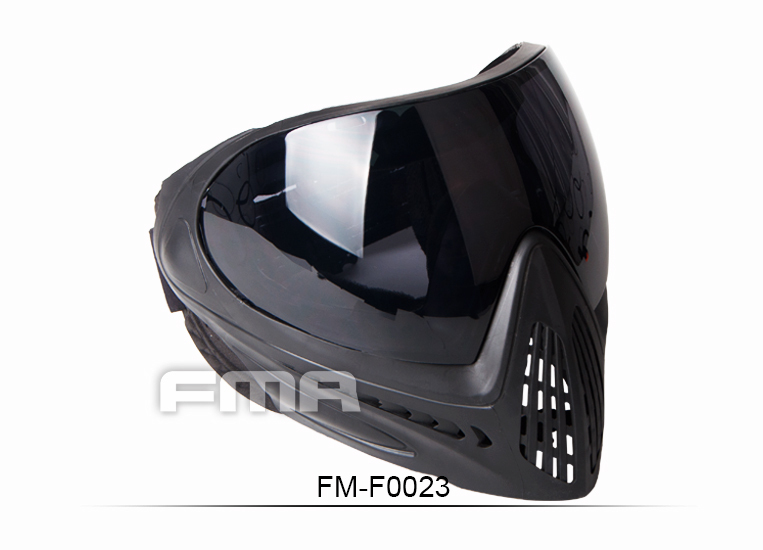 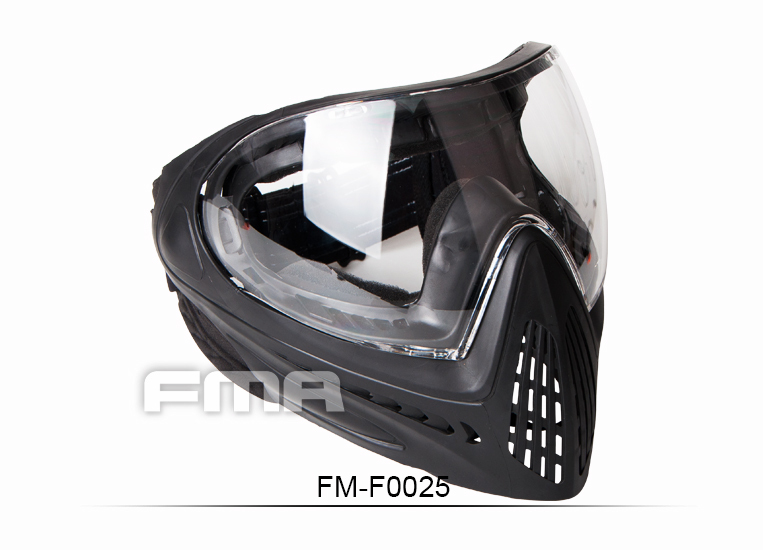 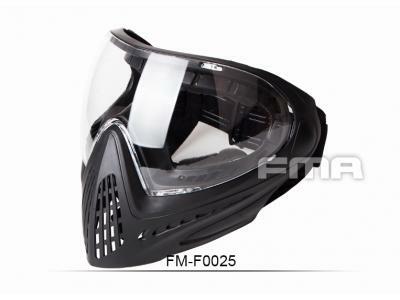 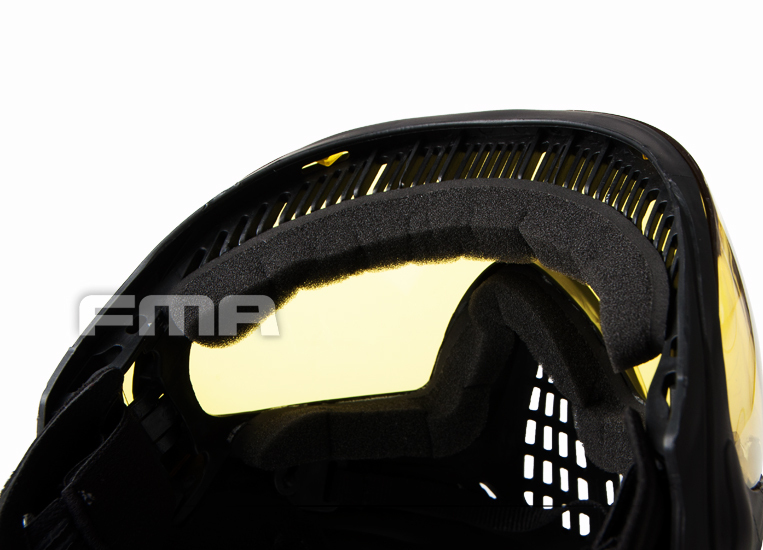 Features: series of FMA freight mask using light of a new type of carbon material, the bridge of the nose is silicone material, is along the direction of gas hole design, provides maximum ventilation, to ensure the optimal outdoor sports performance. 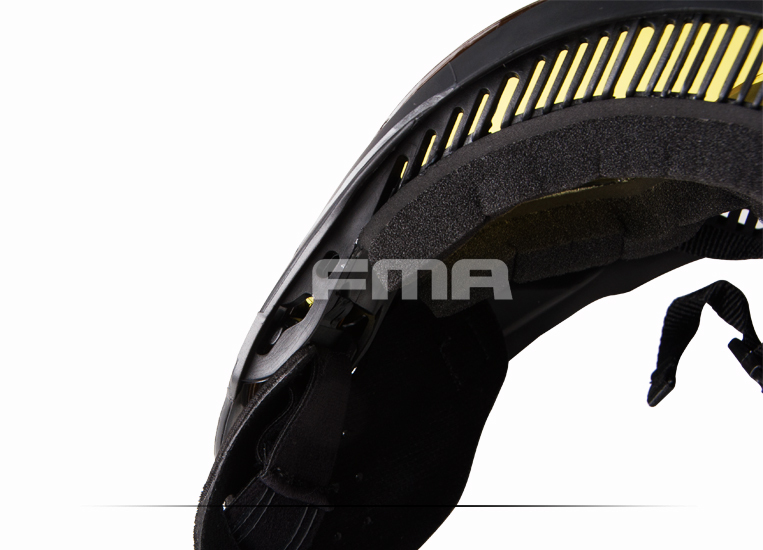 F1 helmet parts is relatively soft, the use of adjustable elastic headband, are free to adjust the suitable size. 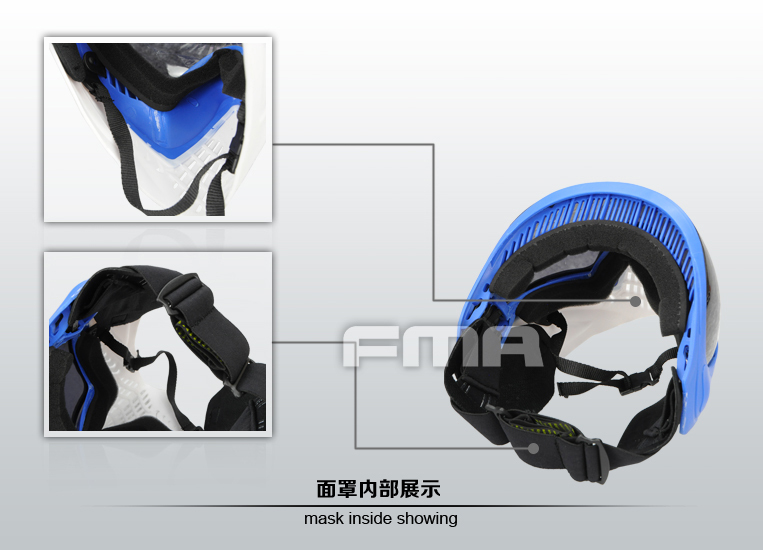 The lens protective mask F1 is higher, anti-fog lens, thickness of 2.5 mm, there is no hierarchical for protection levels. 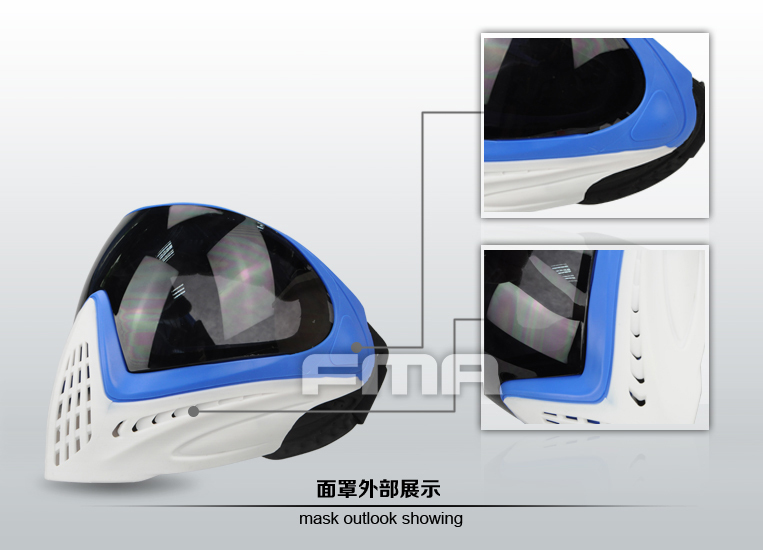 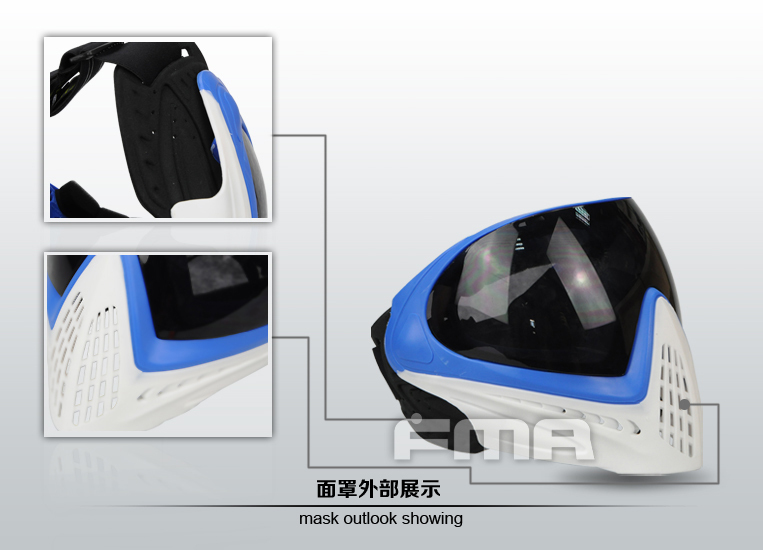 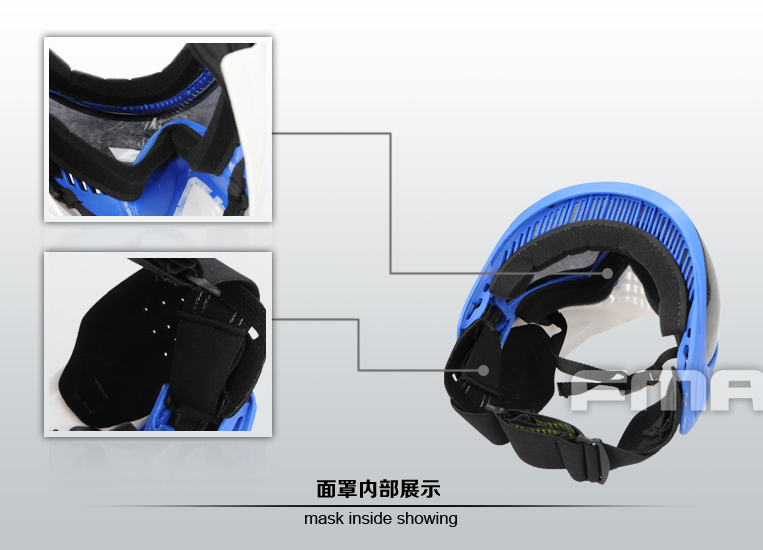 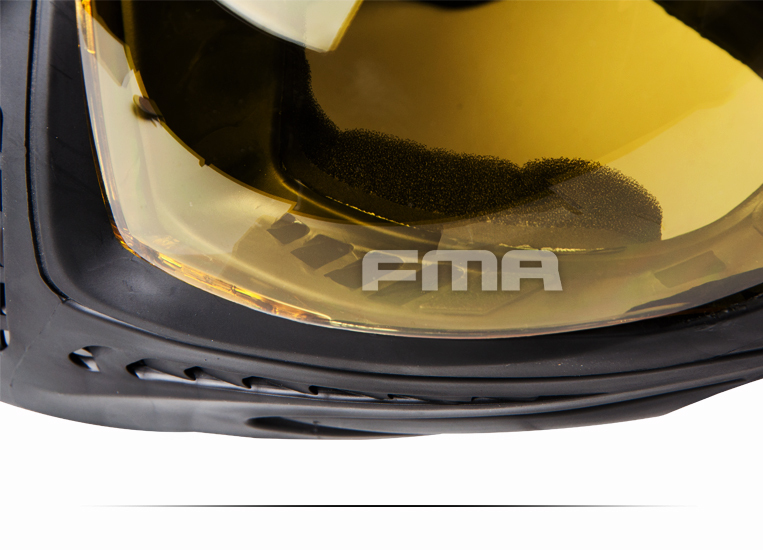 F1 mask permeability is strong, also related to the structure of the mask, above the large row of ventilation is a design, face the sweat heat can be dissipated, the bridge of the nose is silicone material, is along the direction of the nostril opening design, breath can be ruled out in time, not run up lens.